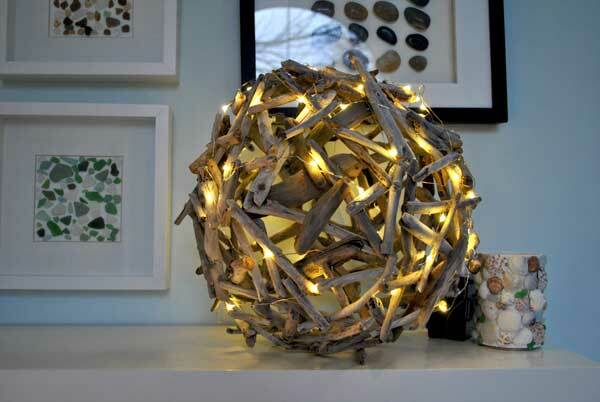 My driftwood orb has had a little festive update. I got the idea from Lizzie over at Saltrock.com. 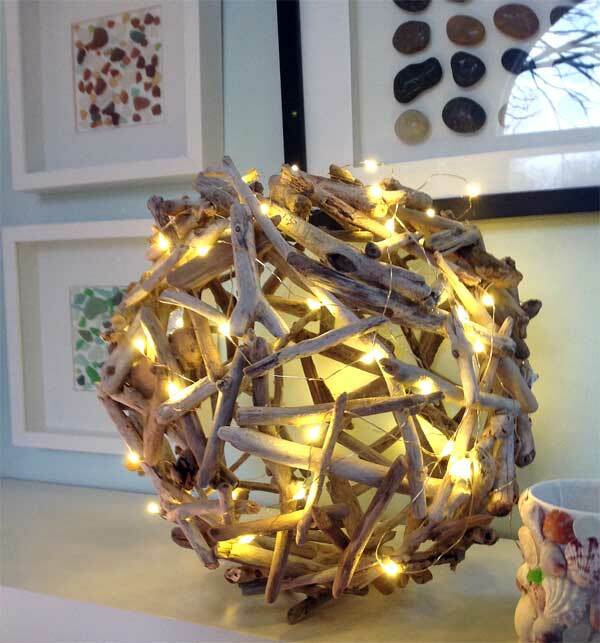 She wrote a great post on using natural material for Christmas decoration ..see it here and she suggested my driftwood orb would look fantastic with fairy lights intertwined in it. I loved the idea and picked up a couple of sets of battery powered LED string lights from Target. These were perfect..no messy cords running up my wall and gorgeous brass wire that could be easily intertwined. 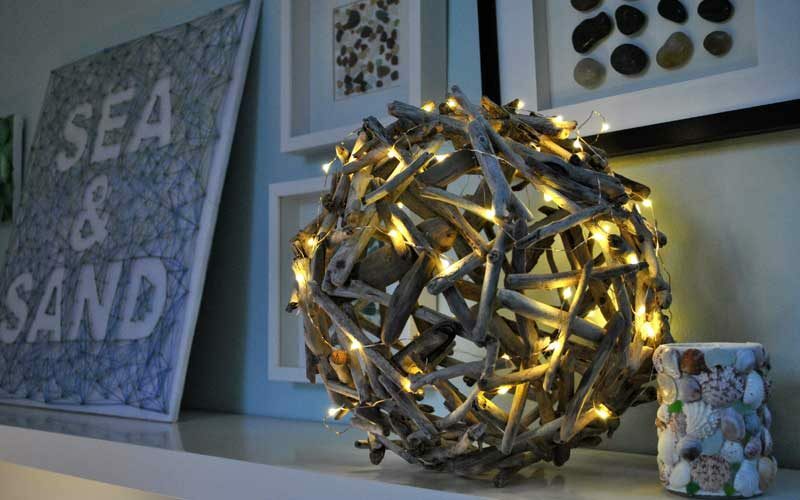 The wire is really fine so the orb still looks good when the lights are turned off. 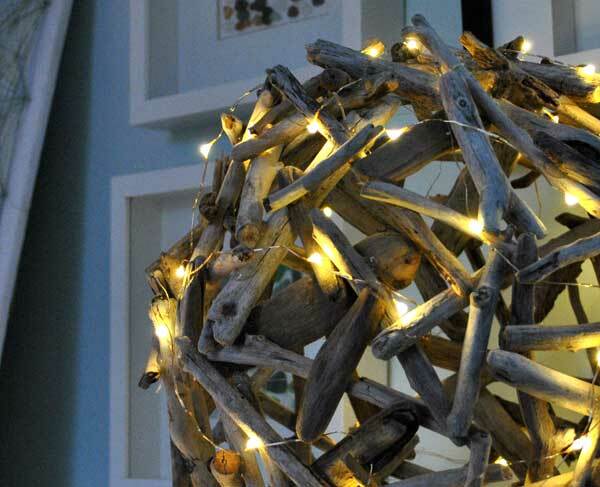 This entry was posted in Celebrate in Style, Christmas, Coastal Crafts, Coastal Decor, Holiday Projects, Home Decor, Lighting, Trash to Treasure, Wood and tagged coastaldecor, driftwood. Bookmark the permalink.